Parents: Father: Major Wilhelm von Schlieben (killed in action on 11 November 1914 while commanding Reserve Infantry Regiment 83); Mother: Gabriele (née Kreutzburg) von Schlieben. Wife: Elenore (née Kracker von Schwartzenfeldt) von Schlieben. 11 August 1914: Entered the Prussian Army as a Fahnenjunker assigned to the Replacement Battalion of the 3. Garde Regiment zu Fuß. 13 September 1914: Joined his regiment in the Field. Spring of 1916: Company Commander in the 3. Garde Regiment zu Fuß. Later in the year, appointed a battalion adjutant and ordnance officer. 27 January 1917: Battalion Adjutant in the 3. Garde Regiment zu Fuß. Spring of 1918: Ordnance Officer on the staff of Generalkommando [General Command] 60. 1 January 1919: Returned to the rolls of 3. Garde Regiment zu Fuß and assigned to the Replacement Battalion. 1 October 1919: Transferred to Reichswehr Infantry Regiment 29. 1 October 1920: Adjutant of II. Battalion of Infantry Regiment 9. 1 June 1924: Transferred to Cavalry Regiment 7. 1 April 1929: Squadron Chief, 3rd Squadron of Reiter Regiment 12. 1 April 1934: Adjutant, Cavalry Command Stettin. 12 October 1935: Adjutant of the 1st Cavalry Brigade. 1 April 1936: Transferred to the staff of Senior Cavalry Officer 1. 1 October 1937: Adjutant of the XIII Army Corps. 26 August 1939: Transferred to the staff of Wehrkreis [Military District] Command XIII, Deputy XIII Army Corps. End of the French Campaign (circa June 1940): Commander of Schützen [Rifle]-Regiment 1 of the 1st Panzer Division. 15 August 1940: Commander of Schützen-Regiment 108 of the 14th Panzer Division. 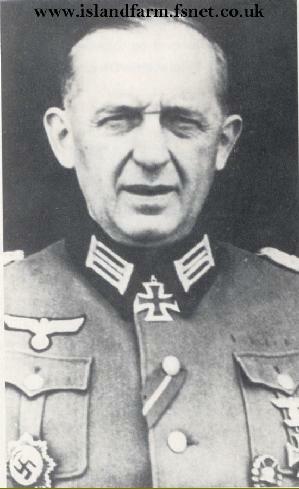 20 July 1942: Commander of the 4th Schützen Brigade of the 4th Panzer Division. February1943-March of 1943: Delegated with leadership of the 208th Infantry Division. 1 April 1943: Delegated with leadership of the 18th Panzer Division. 1 May 1943: Commander of the 18th Panzer Division. 20 October 1943: The 18th Panzer Division was inactivated and the remnants were sent to Lithuania and reorganized as the 18th Artillery Division. At this time, von Schlieben was placed in Führer Reserve. 12 December 1943: Commander of the 709th Infantry Division. 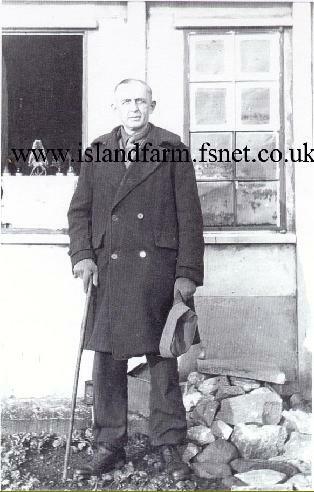 26 June 1944-7 October 1947: Prisoner of war in U.S. and, later, British captivity. 1 July 1944 transferred to Trent Park Camp 11 sorting camp. Knight's Cross of the Iron Cross: 17 March 1943, Oberst, Commander of Brigade Staff “for Special Employment” 4 and Commander of the 208th Infantry Division, Eastern Front. German Cross in Gold: 2 July 1942, Oberst, Commander of Schützen-Regiment 108 of the 14th Panzer Division, Eastern Front.